I just had to share this photo I snagged from a post on Facebook. Shouldn’t every school have a poster like this!? 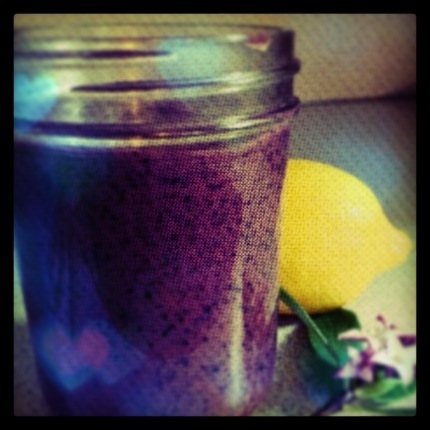 Blueberry, lemon, OJ, Mint Smoothie – Seriously good! Check out the recipes – nummm. OMG IT LOOKS LIKE ALOT OF SUGAR IN CHOC MILK! And a lot of us thought it was a healthier choice! I know! Makes a difference when you see it graphically in front of you.